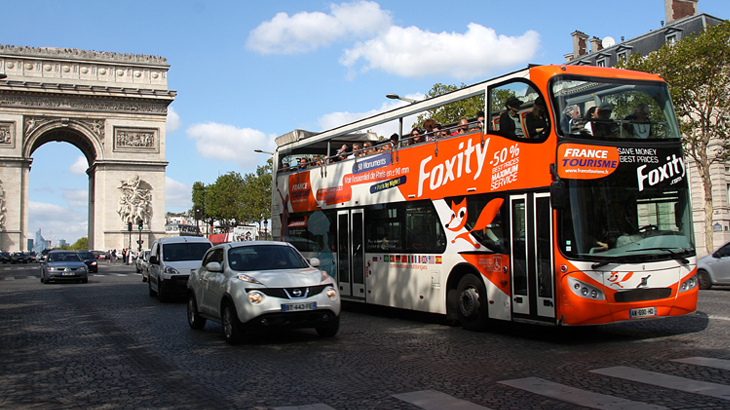 • Enjoy our 1 Day Pass City Tour to discover Paris. Complete tour of the city, hop on and hop off as much as you like. • 10 Stops in Paris : Opera, Notre-Dame, Arc de Triomphe, Eiffel Tower,... in order to be as close as possible of Paris main monuments and of your touring places. 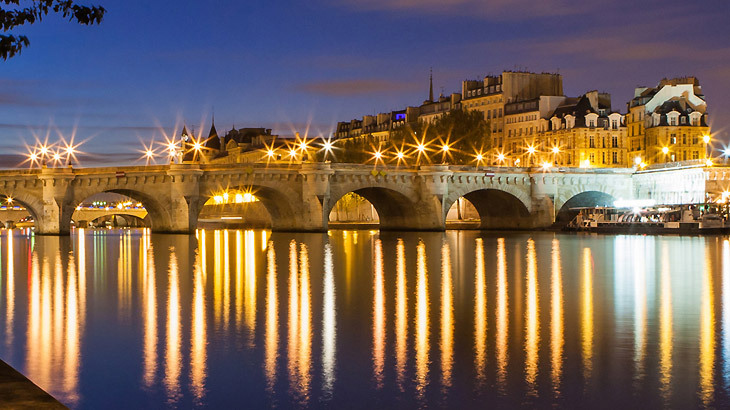 DISCOVER THE MAGIC OF PARIS BY NIGHT ! 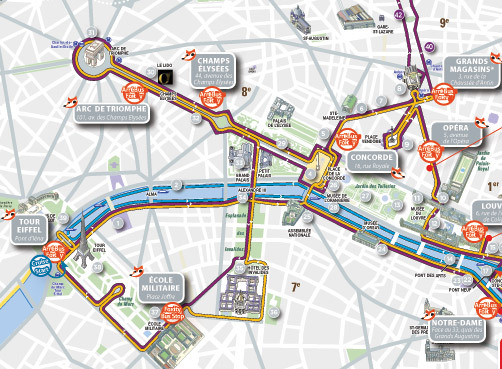 • Paris Illuminations Tour at 7:30pm or 9:30pm. 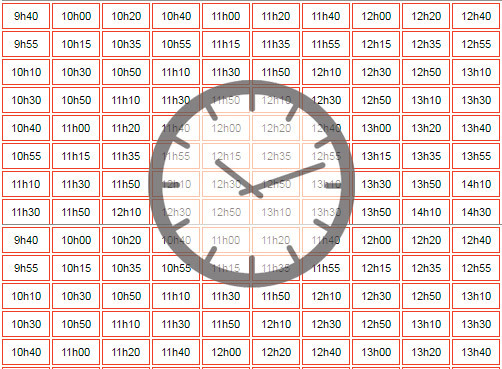 • Duration of the Tour : 1h30. 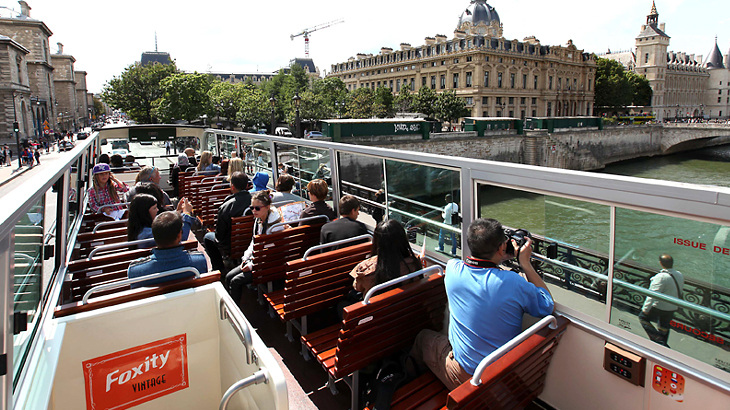 Enjoy our Pass City Tour with complete tour of Paris, hop on and hop off as much as you like during 1 day + a 1h Seine cruise with boarding in front of the Eiffel Tower.